In an Echo Park backyard one afternoon last year, a few dozen beautiful Angelenos gathered to listen to the music of the good ol’ Grateful Dead. Sipping cans of Miller Lite and sporting their best vintage denim, people at the party didn’t exactly fit the stereotype of a Dead cover band’s audience. 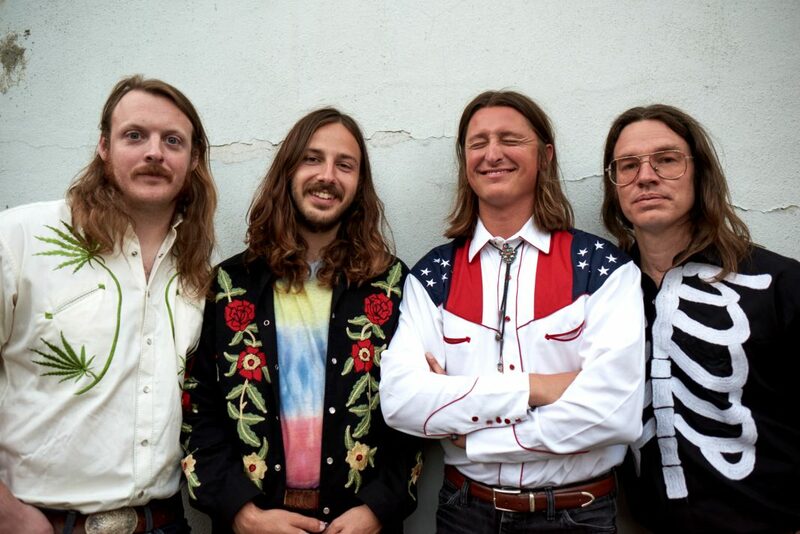 Grateful Shred formed in 2016 when local country artist Austin McCutchen asked a few buddies to play Dead covers to fill a residency at the Griffin in Atwater Village. The band performed at Echo Park Rising later that year and began booking gigs around L.A. The group’s core members—including McCutchen, and Sam Blasucci and Clay Finch of the folk duo Mapache—later moved into Horne’s house and home studio in Echo Park. That space was christened “Liberty Hair Farm” and serves as the band’s rehearsal space and an occasional concert venue. There, they enlisted some filmmaker friends to record a series of quality live videos that quickly gained traction on YouTube. It wasn’t long before the Shred was touring across the country and headlining venues as far as the Brooklyn Bowl in New York and the Velvet Underground in Toronto. Between the massive touring success of Bob Weir’s revamped Dead & Company, a high-profile Amazon Prime documentary, and a five-CD tribute album organized by indie rockers the National, the Grateful Dead is in the midst of a renaissance of sorts. Horne attributes the rekindled interest to a kind of collective social need for the Dead’s organic meld of American music and takes-all-kinds sense of community. And nowhere is this more apparent than in L.A.
Two of those artists are Elijah Funk and Alix Ross, founders of local T-shirt operation Online Ceramics. Funk and Ross mix the psychedelic skull and roses imagery of the bootleg merch hawked in parking lots outside Dead shows with the punk and hip-hop aesthetic of high-fashion streetwear. The unlikely mashup has landed Online Ceramics’ shirts at La Brea boutiques such as Union Los Angeles as well as in a feature spread for GQ in November. As vintage Dead T-shirts become sought-after fashion accessories, Grateful Shred may be a perfect match for a cohort of Deadheads more accustomed to scanning Instagram for Liquid Blue tie-dyes than seeking out rare live concert tapes. That’s not to suggest the band’s success is all about its image. The group really does succeed in capturing the Dead’s classic early-‘70s sound and feel in way that few other cover acts can. “As long as people keep wanting us to play and keep asking us to play, we’re going to keep playing,” he says. Grateful Shred will play the Teragram Ballroom in L.A. on Saturday, Aug. 4.